Southern University at New Orleans is a four-year, state-supported, coed, liberal arts institution f…. 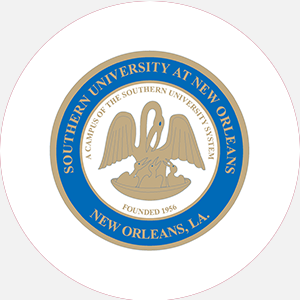 Southern University at New Orleans is a four-year, state-supported, coed, liberal arts institution founded in 1959 for the education of African American students. SUNO, a branch and extension of Southern University and A&M University, was created by an act of the state legislature, which later appropriated over billion for the purchase of property, construction, and furnishings. In 1959, on a 17-acre plot located in the residential community of Pontchartrain Park, SUNO began classes in one building with 158 students. In 1963, the first class received bachelor’s degrees. Ten years later the University was removed from the jurisdiction of the Louisiana State Board of Education and became a branch of Southern University and Agricultural and Mechanical College in Baton Rouge. As a branch of a land-grant institution, SUNO is committed to providing education to students with heterogeneous abilities and varying academic backgrounds. Its purpose is to prepare students to compete in their respective professions or to pursue advanced study. SUNO is situated on a 17-acre campus incorporating thirteen buildings, including a 300,000-volume library. Southern University is accredited by the Southern Association of Colleges and Schools (SACS) to award the Associate of Arts, Associate of Science, Bachelor of Arts, Bachelor of Science, and master’s degrees. July 1 (fall); December 1 (spring); May 1 (summer). Graduation from an accredited high school with completion of the following units: 3 English, 2 mathematics, 2 science, 2 social science; submission of official high school transcript; immunizations; complete physical exam form; and submit letter of recommendation from school counselor or teacher. A nonrefundable application fee is required. Admission Application Deadline: July 1 (fall); December 1 (spring); May 1 (summer). Admission Contact: Director of Admissions, Southern University at New Orleans, New Orleans, Louisiana 70126; Telephone: 504-286-5314; 504-286-0000 (fax). May-August (semesters) Commencement and conferring of degrees: May One summer session.